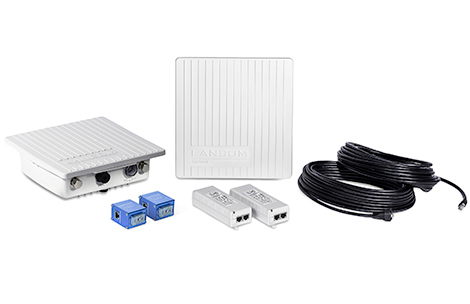 The LANCOM outdoor WLAN range of products includes versatile access points and outdoor antennas for establishing wireless LAN infrastructures, which enable flexible applications in open air environments. They provide reliable Wi-Fi coverage over open spaces and offer fast wireless Internet access for visitors or modern enterprise applications. What’s more, LANCOM outdoor access points are ideal for establishing point-to-point links over long ranges. Company sites with several building complexes are networked via wireless point-to-point links, over several kilometres if need be. So there’s no need for any laborious cable installation or expensive leased lines.